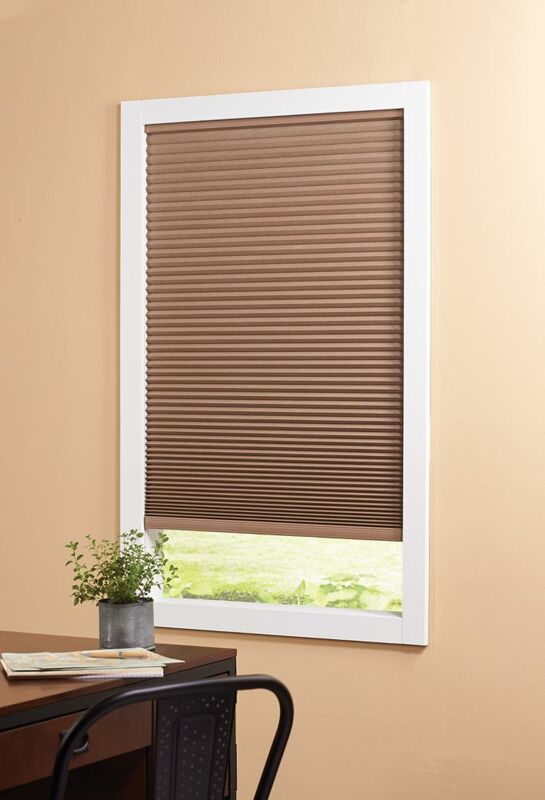 Cordless Blackout Cellular Shade Dark Espresso 23-inch x 48-inch (Actual width 22.625-inch) The right window shade can refresh your room with light and colour. When making your choices, be sure to think about how much light you need. A light filtering cellular shade will filter light gently into your space, while a black out cellular shade will stop unwanted brightness. You'll also want to consider tone and texture. What shade will complement your furniture, floor coverings and wall colour? Cordless Blackout Cellular Shade Dark Espresso 23-inch x 48-inch (Actual width 22.625-inch) is rated 3.0 out of 5 by 2. Rated 5 out of 5 by Muskoka girl from Love the look These are great, easy to install and roll up and down smoothly. Custom cut is fantastic... bought 4 in different cut sizes...blocks out sun amazingly. Rated 1 out of 5 by mrfixit from Garbage Soooo disappointed with these blinds . Purchased 3 for the front window and took them home, the first one broke before I could even install it. Garbage !! Don't buy these. Needless to say will be returning all 3. What is the narrowest width to which the 48&rdquo; shade can be cut? Thank you for your question, the 48&quot; can be cut up to 12 inches off. Can this product be cut to fit? My window has a 45&quot; inside width. Can I use these shades on a French Door? What kind of bracket is used to mount them to the door? And is there also a bracket available to attach the bottom of the blind to the door as well. These are top mounting installation brackets. The hold down brackets are secured by the side end caps.